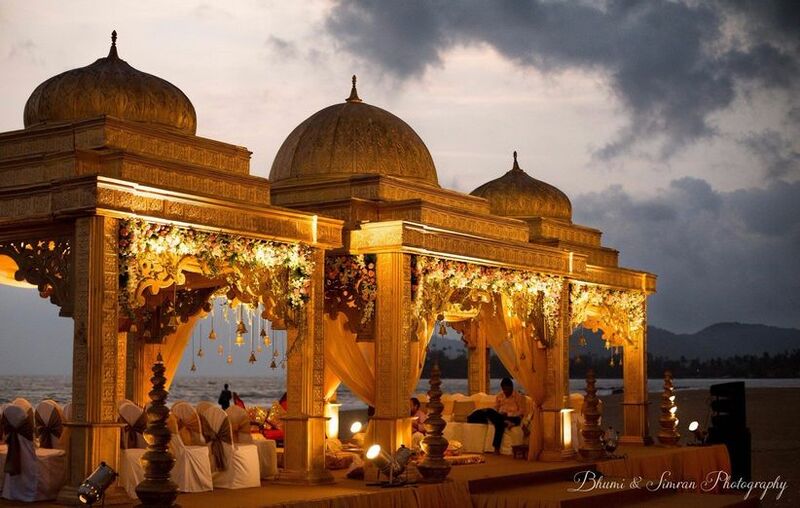 Planning a Destination Wedding in Goa Made Easy with These 'How to' Hacks and Hidden Costs | Wedding Tips ARE YOU A VENDOR? 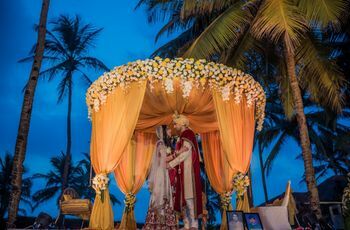 If you are dreaming about a destination wedding in Goa, we highly recommend you read this article. Get all the dirt on wedding budgets, venues, accommodation, travel, decor and more! 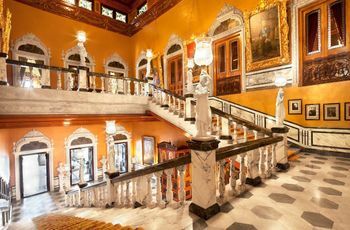 A wedding is a big deal, especially in India, where we are constantly looking for ways to make it as grand and memorable as possible. 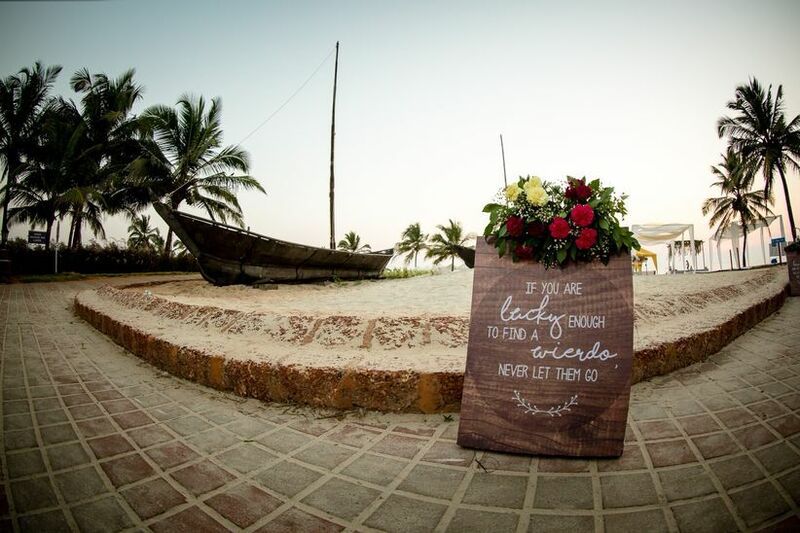 That’s why a destination wedding is on every bride and groom’s bucket list. We explore one of the most popular destination wedding themes and ideas - a destination wedding in Goa. So, read on to find out those various reasons as to why you should pick Goa as your destination wedding venue. Read on and start planning your epic wedding now! Why Goa? 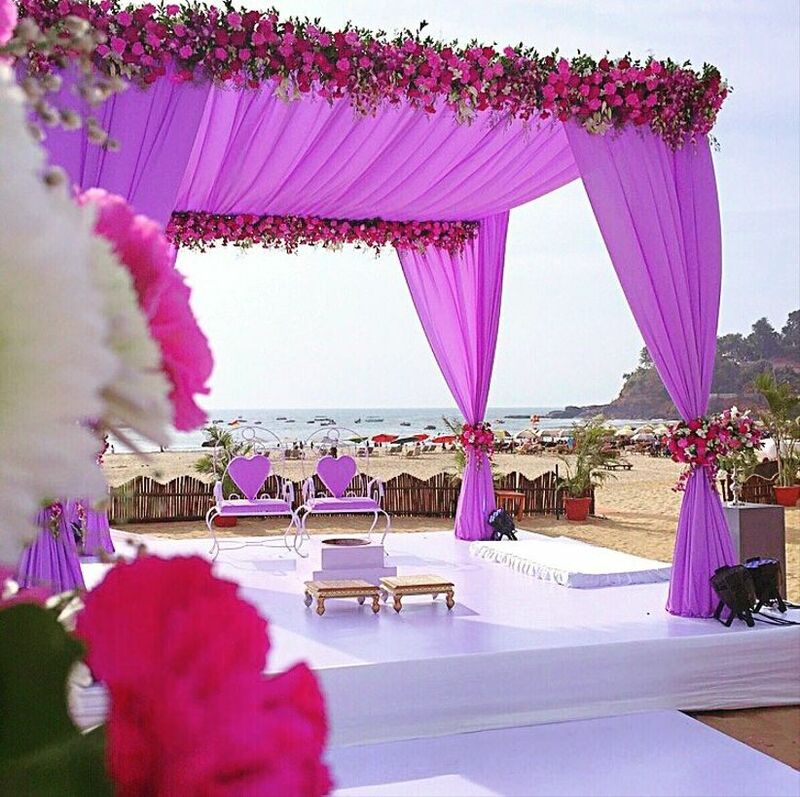 Gorgeous beaches and even better venues make Goa a popular wedding destination. Whether you want an intimate wedding with immediate family and friends or a lavish extravaganza, we highly recommend you take the time out to read the article. 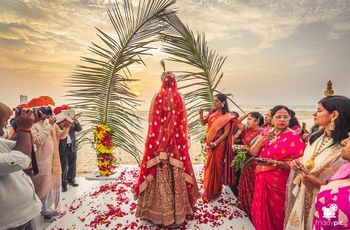 A Goan wedding helps you with themes from a beach wedding, to one on an island, a Portuguese church to rocky cliff sides and evergreen fields. It also ensures that you combine a vacation trip with your special day, either before it or after it. The costs are also relatively less, in comparison to an international destination wedding. 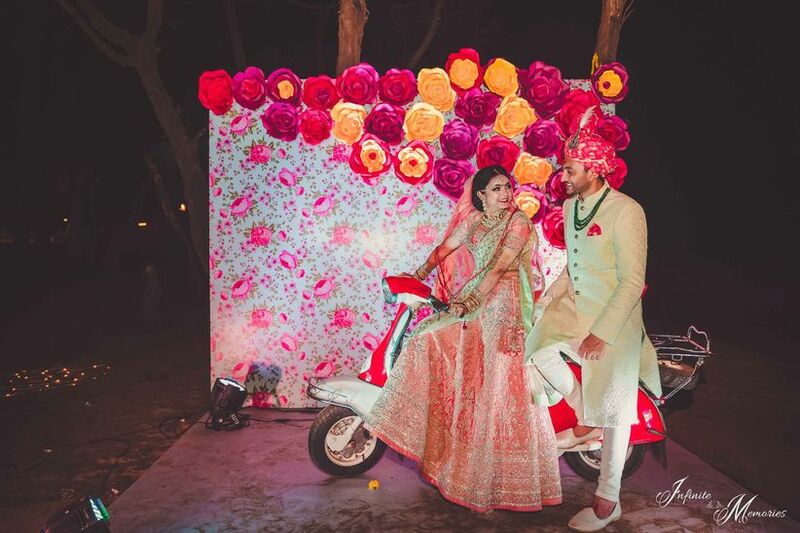 Therefore, hosting your destination wedding in Goa will give you vibes of an exotic celebration and you will be able to do so without literally burning a hole in your pockets. If you thought wedding planning is easy, you couldn’t be more wrong. There’s a series of preparation for all sorts of events, then there are negotiations with various vendors and innumerable errands that need to be run just before the wedding starts. Unless you have a family who is willing to go crazy running errands, rather than actually enjoying the wedding festivities, you need to hire a wedding planner! So, we suggest that you take a back seat as it is going to be one of the most chaotic and strenuous weeks and you should find the time to enjoy these days while it lasts. So, invest in a wedding planner who will bare your responsibilities as you flutter around with your family and friends and enjoy to the fullest. Between North and South Goa, South Goa is more popular for destination weddings. Reason: South Goa is more peaceful, the beaches are cleaner and almost all resorts in South Goa have access to a private beach. Sounds cool, right? 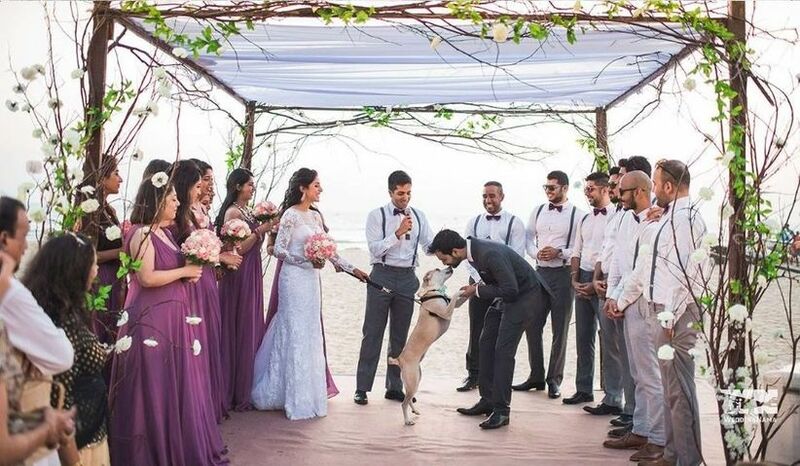 Even though North Goa isn’t a preferred location for weddings, Vidushi Malhotra, who got married in January 2016, booked La Calypso Resort at Calangute beach for her wedding. “Our two-day wedding was an intimate yet fabulous affair. We had not more than a 100 guests at the wedding, but since we had a lot of our friends coming down for the wedding, we chose North Goa as all the party places were nearby. The accommodation and venue costs didn’t exceed Rs 20 Lakhs,” shares Vidushi, who’s never followed the norms, anyway. The venue is the main attraction of your wedding and takes up a major chunk of your budget too. 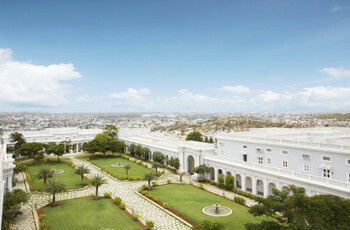 For a simple 2-day destination wedding, rooms are ideally booked for a total of 2 nights and 3 days. “During peak season, the room tariffs in a 4-star hotel can start from Rs 18,000 + taxes per room, per night, on a twin sharing basis. And the same room in the off-season can cost you Rs 12,000 + taxes per room, per night. So for a wedding that will see 200 guests, the cost of venue and accommodation alone can stretch up-to Rs 36 Lakhs during the peak season. Please note that these rates include the lunch and dinner costs. Breakfast is anyway included in the stay,” shares Rabiya. Most 4 or 5-star hotels and resorts will not allow you to serve your own alcohol on the wedding functions. You’ll eventually have to take the IMFL the hotel offers, instead of foreign liquor. 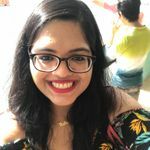 “Unfortunately, whether the season is at its peak or is an off-season, liquor charges usually remain the same,” shares Rabiya. Catering charges are calculated per plate and are an area where hotels can offer varied rates, depending on the overall wedding package that you opt for. Most of the venues in Goa extend to you the same policy which makes it a fit choice for hosting a wedding for a large gathering or for a comparatively smaller one as well. “For a wedding of about 200 guests, you might have to spend between Rs 8-12 Lakhs for the decor of all the events. We suggest you cut your wedding decor budget by picking elements that can be re-used for all functions – like lighting, flowers, and photo booth. Honestly, wedding decoration is an area where you can actually control your costs,” explains Rabiya. 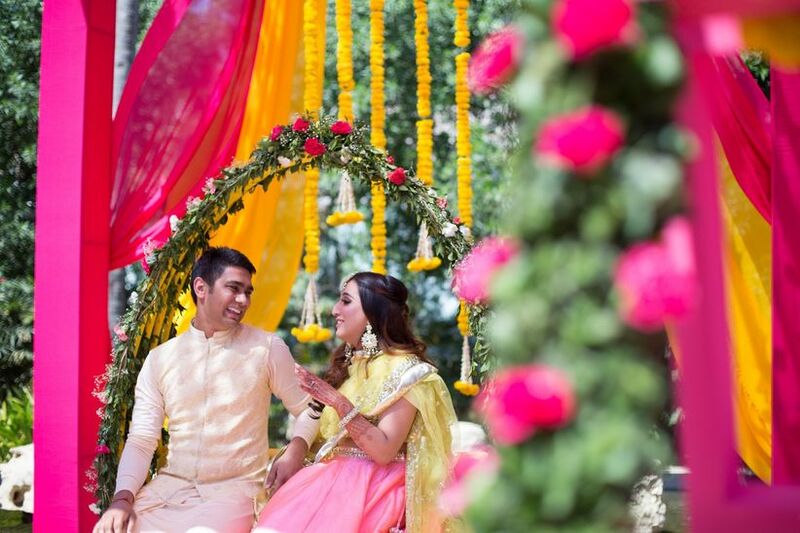 Vidushi opted for simple decor for her Mehndi and Chura ceremonies. 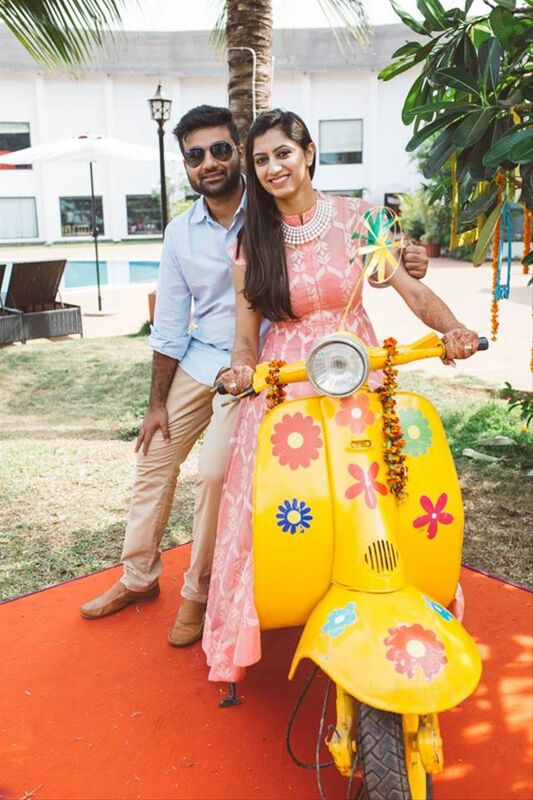 Ferris wheels, photo booth, an old quirky yellow scooter as a prop, hats, birdcage, flowers and simple banners were used to add oomph to her daily events. Instead of increasing your wedding budget, you can source local vendors to help you out with your wedding functions. The miscellaneous expenses that include DJ, makeup artists, fireworks, and mehndi artists, can all be managed between ₹3-5 Lakhs. “Overall, a 200 guest wedding at a decent 4-5 star hotel or resort can cost anything between ₹60-70 Lakhs,” concludes Rabiya. Did we give you enough impetus to opt for a destination wedding in Goa? We recommend booking a wedding planner right away and sharing your vision and plans.